Sebastian Gießmann is a Postdoctoral Fellow in Media Studies at the University of Siegen, Germany. His research interests include network history, material culture, anthropology of law, and Internet studies. 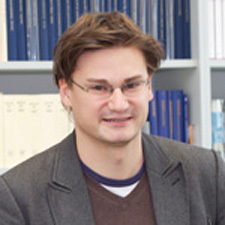 He co-edits the Zeitschrift für Kulturwissenschaften and ilinx, the Berlin Journal in Cultural History and Theory. Gießmann serves as spokesperson for the working group on data and networks in the German Society for Media Studies. Approaching the fluidity and ephemerality of urban transport through an exploration of its material media culture, this article considers the influence of the London Tube Map design in the 1920s and 30s, along with elements of a material network archaeology. 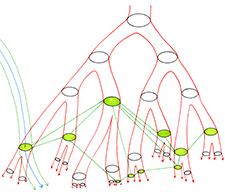 In drawing on the historical networking practices of London Transport, the article places emphasis on the uniqueness and situated character of networks, as opposed to generalizing theories like social network analysis and complex networks science. The humanities approach to material socio-technical networks takes their tacit local operations, the formation of synchronized network time, and the specific relationship between perception and circulation into account.